Our 27ft ProKat boats are a fisherman's dream come true! From the moment you first step aboard to the end of your rental period you will be glad you chose this boat. When you pass by another boat on your way off shore your will be the envy of the other boaters. There is no better ride; fishing room for 6 to 8 persons. Rigged for fishermen by fishermen. Capt. Bob guarantees you will be more than satisfied. 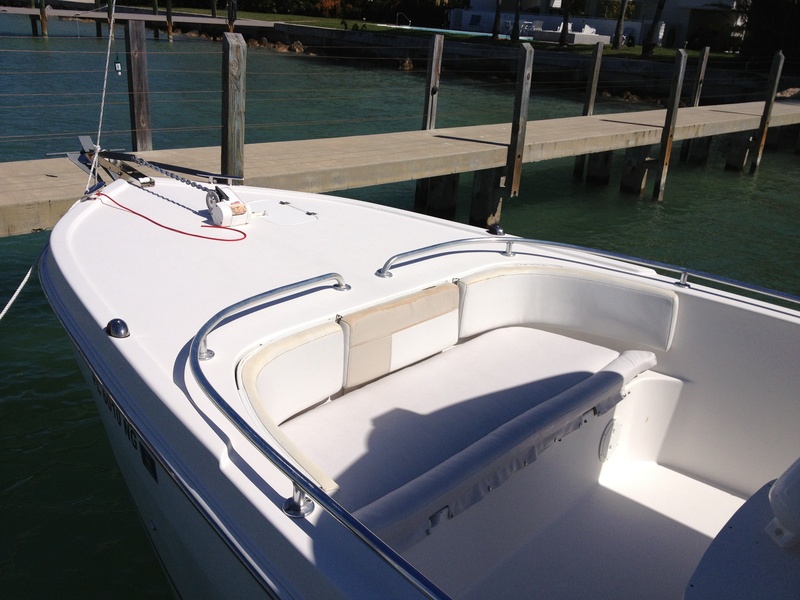 This 27ft ProKat center console sports a new deck layout and a full compliment of fishing features. The twin hull runs great and rides smoothly in almost any situation. A pair of Suzuki four stroke 175HP outboards provides you with the best economy and most dependable power available. This ProKat is the boat for serious offshore fishermen. Please note the auto-pilot feature on this boat is disabled (none of our rental boats have auto-pilot).